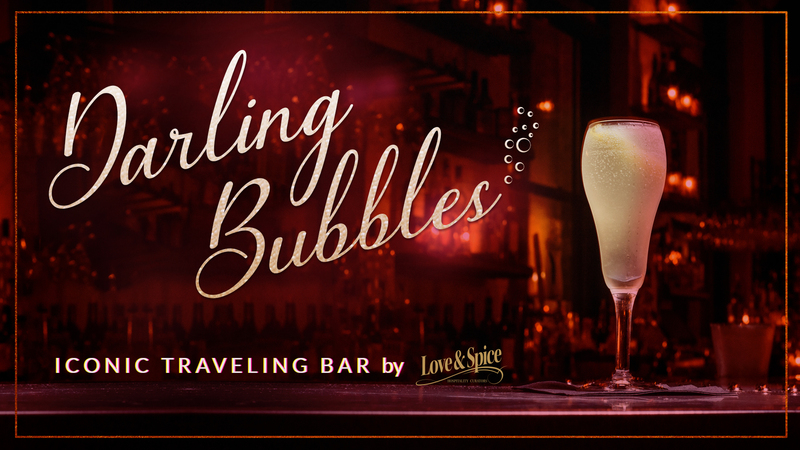 This iconic traveling Bar with a sparkling wine theme could be an exclusive experience for your guests as well as fo any establishment. This unique cart is pops up at intimate and romantic hideouts in the city of Miami, featuring lounge music and a DJS. For more information about our pops up or how to bring this exclusive experience to your guests inquire within.